• have a basic understanding of how the eye works under adverse light conditions. • know safety considerations as they apply to laser sights. • learn how to evaluate and choose a laser sight. • learn to conduct basic marksmanship training with a laser sight or flashlight. 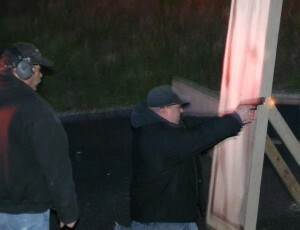 • learn how a laser sights benefits personal defense training. • learn the advantages and disadvantages of a laser sight system. • perform dynamic range exercises in low/diminished light and oscillating lighting conditions. Verdad Investigations & Protection, Inc.
© 2019 Verdad Investigations & Protection, Inc.